The question is who will ultimately own the right to sell and use the data your car is generating about your habits. The connected car will be a wonderful convenience or an intrusive nightmare, depending on your tolerance. For automakers, it could be a gold mine, which is why the industry is building firewalls to keep the likes of Google Inc. and Apple Inc. at bay -- and hoping to pry you away from their phones and apps when you’re motoring. The dashboard battle is gearing up as cockpit technology rapidly advances. Once self-driving cars are the norm, people will have the downtime to become truly mobile consumers. (Granted, that may seem farther away after the recent death of a Tesla Model S owner who was using its Autopilot system.) Ford Motor Co. and others are already angling to give the Googles of the world limited to no access to the juiciest data that will be amassed once millions of people are shopping in seat belts. Ford’s answer is called AppLink, which Toyota Motor Corp. also uses; it enables the car to work with 90 phone apps without using CarPlay or Android Auto. If drivers choose, they can link those operating systems to vehicle screens without tech competitors being able to mine vehicle data. 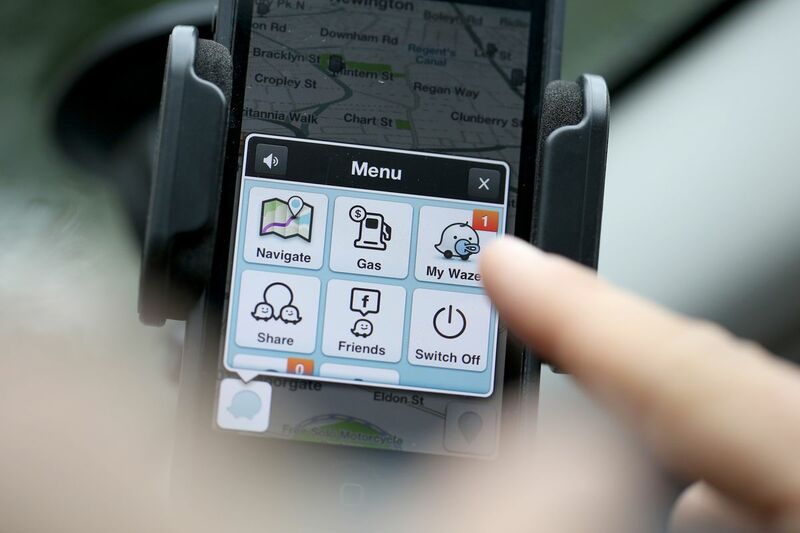 As for BMW, Daimler AG and Volkswagen AG, they teamed up last year to buy Nokia Corp.’s digital mapping business, called Here, for $3.1 billion. Alibaba Group Holding Ltd., whose YunOS connects phones, tablets and smartwatches, is working on deals with Chinese automakers to hook up with vehicles too. Mazda Motor Corp. Helped fund development of a network called OpenCar, which will announce agreements later this year with other companies, says Bryan Mistele, CEO of the software company Inrix, which acquired OpenCar in March. For good reason. They’re developing cars or driverless technology themselves, and are giants when it comes to connected services. Most everyone has a smartphone at hand at all times, including while driving. Among the dozens of apps popular with people in cars: Google’s Waze, an advertising-supported and crowd-sourced program that offers congestion-avoiding directions; Yelp, which gives locations and reviews of local businesses; and music-streaming Spotify. It’s not only tech companies that are interested in the data. Insurers would be thrilled to have front-seat knowledge about a driver -- it could charge higher rates for a proven lead foot. Ford and GM both will track such statistics and give them to insurers anonymously, allowing a consumer to contact the carrier if their driving habits will cut premiums. When it comes to advertising, GM’s OnStar subscription service has taken a page from the tech-company model by, for example, offering dashboard-available coupons for Exxon and Mobil gas stations and the ability to book hotel rooms. Mercedes-Benz’s concierge service Mbrace can, at the touch of a button, route a driver around traffic or bad weather. Both cost about $20 a month.